A granite tablet that describes the memorial. The HMAS Sydney (II) Memorial sanctuary with the Stele seen through the dome. 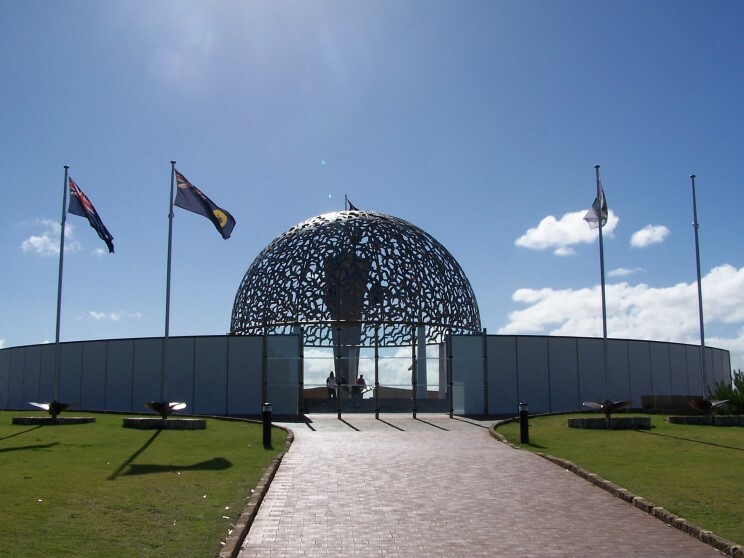 The HMAS Sydney (II) Memorial sanctuary dome. seen glistening in the sun is seen at center.